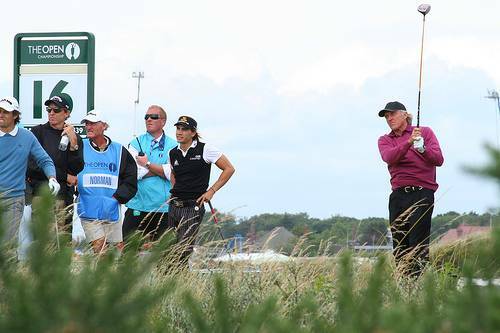 Leading by two strokes from Greg Norman and Ian Poulter with two holes to play, Harrington could have been forgiven for playing conservatively. Certainly, in the commentary box there was some concern when he pulled a five wood from his bag. Having hit the penultimate fairway with that club from the tee, surely now he should go for position with an iron, and play safely for a five? That’s what the pundits always say. Take as many strokes as you need. Harrington didn’t see it that way. 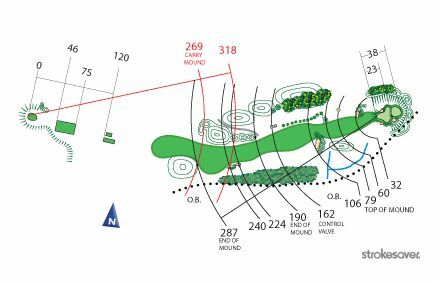 The seventeeth hole had been lengthened especially for this championship, but its 572 yards played downwind for most of the week. Norman smashed a huge drive off the tee, leaving him an excellent birdie chance to cut into Harrington’s lead, and the faint scent of an eagle to draw level. Suddenly, playing short didn’t seem safe at all. Up ahead, the dangerous eighteenth was definitely not the kind of hole to yield an easy par four to win the British Open. So with 249 yards to go on the seventeeth, and in a vicious left to right crosswind, out came the five wood. The Harrington of 2007 won despite a six at the 72nd hole. But on Sunday, that man was nowhere to be seen. This was fearless, attacking play to define a great of the game. Such is the change that a year as British Open champion brings. Well struck and aimed high through the breeze towards the grandstand to the left of the green, Harrington’s ball flew long enough to carry the difficult bunker 30 yards short of the putting surface. Drifting gracefully to the right on the wind, it landed safely on the apron, bounced obligingly forwards and climbed casually on to the top tier before rolling just four feet from the hole. 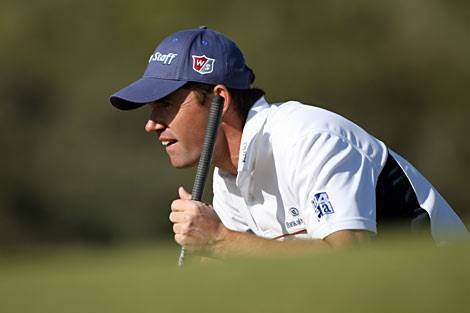 A short single putt later, with the most memorable of eagles to write down on the card, Harrington was four strokes in front. Now he needed only to find the final fairway to claim the claret jug for another year. And Pod finished off in style, a masterful second shot threatening the flag on the last and setting up the easiest of pars. Victory was his. It was the finest British Open I have ever had the pleasure to watch. Harrington’s homeward nine of 32 under pressure must rank as one of the best of all time, and there was much more to savour. The thrill of seeing Greg Norman emerge from his semi-retirement and recent wedding to Chris Evert to glimpse one more trophy for the game fishing net. KJ Choi was almost successful in bringing Korea and Asia their first major win. And with Ian Poulter as runner-up and Chris Wood as leading amateur, the supporting parts of this drama were both colourfully and promisingly filled. But above all this year, it was the weather which made the Open Championship. How many years have we seen British Opens played out on tranquil July days? Across hot sunny weeks, when the fire of the links was doused by warm sunshine and the true difficulty of our top British courses faded to a frazzled and distant memory. 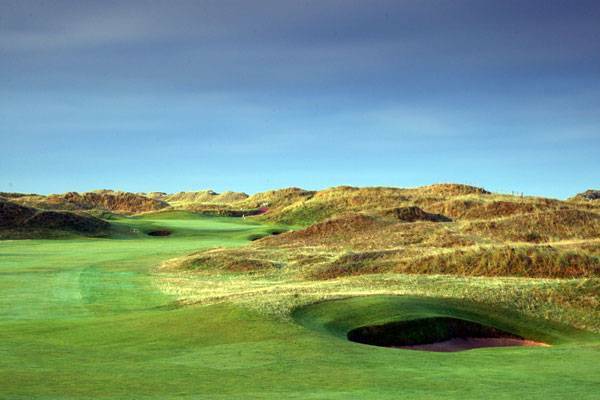 Times when sparse dried-out rough and fast-running fairways left the toughest of links almost defenceless. Disappointingly marvellous weather. We’ve seen a day of rain, or a few blustery hours in several British Opens, but never in recent memory has it blown hard, through all four days. And how it transformed the tournament. Suddenly this was a sport of survival, where courage, endurance and sheer adaptability came to the fore. This truly was golf, as she was meant to be played. 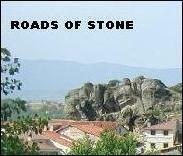 Not on some manufactured landscape. Not cosily comfortable. Golf not calculatingly plotted across predictably soft parkland on a benign, lazy day. 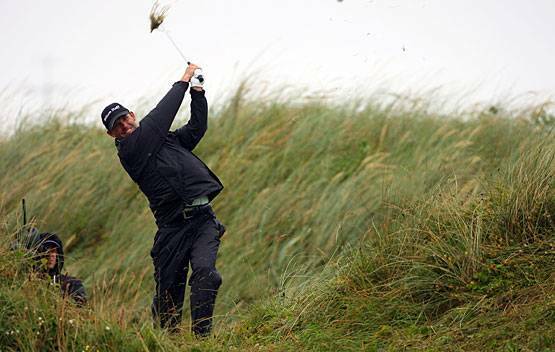 But golf across the loneliest of windswept wildernesses, where a man must fight and carve out his path with just the howling of the wind and the lashing of the rain for company, as the cries of thirty thousand bedraggled but enthralled spectators vanish thinly above the dunes. Harrington’s five wood will ring out across years, but I’ll remember another shot from the gusts of Saturday’s round. On the type of afternoon where the yardage chart becomes useless, and you have to rely on feel and guts alone. Midway through the round, Norman found himself with 121 yards to the flag. Straight into the wind. A pitching wedge distance, but now calling for a full eight iron, or even a seven. 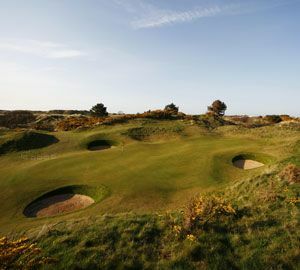 A high-tariff shot into Birkdale’s tightly-bunkered greens, surrounded by those monstrous traps half as deep as a house. Norman saw it differently. He chose a five iron. From the back foot, with a short swing and panache, he pulled out a perfect punch shot into the teeth of the wind. Flying no more than head high, straight for the flag to finish right by the hole. It was the classically inventive stroke which a true links should always demand. 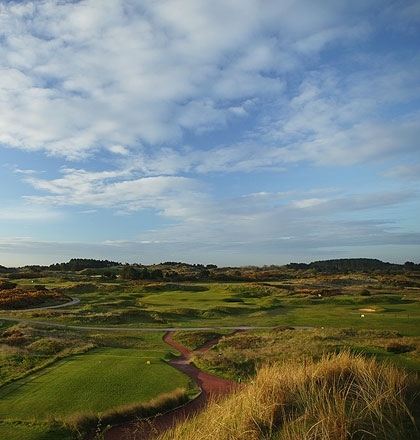 I played Royal Birkdale once, a long time ago. We had a great girl golfer in our team that year, who was friends with the Pro. With his sadistic encouragement, we set out to play the links from the Open tees on a blustery March day. In weather that doesn’t often feature in the Championship script. It was like no other round I have played. The fairways were hidden behind huge sandhills and waist-high rough, and hardly visible on a handful of holes. Many more were completely unreachable. I hacked my way to a miserable score. Only an unlikely birdie at Palmer’s famous sixteenth hole and two closing fives averted abject despair. Little did I expect my 88 to take the money, from all of our group. 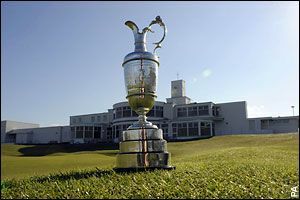 Three Royal Birkdale Opens since then have been won at scores well under par. Many times, I’ve thought about that round. I’d love to go back there, to take on the course in fine weather. And play it properly. But this week, at last I thought differently. Because in the wind and the rain, Birkdale showed all its teeth bared. The course presented a true test for the world’s greatest – a demanding, unforgiving links in the stiffest of conditions. This was the greatest Open of all – when an eagle hailed victory, from the jaws of The Shark. This entry was posted in 2008, golf, heroes, life and times, sports, summer. Bookmark the permalink. While we’re on the subject of sport, I should mention the battle of the titans which was this year’s Wimbledon final. This account by Jonas is excellent. You’re right there. It was the finest open I can ever remember. The inimitable Peter Alliss said that the wind hasn’t made it much of an event to watch. Quite the opposite I think. Nice to see the pros hacking around in the rough like me for a change. Keep up the good work – SP. Thanks, Seafront, and it’s good to hear from you. I’m glad you enjoyed the Open. For much of the day, I was torn between hoping that Norman might pull off the unlikeliest of wins, and wishing that Harrington could astound us all by defending his title. It all came down to belief, in the end. Although he gave it a hard bite, I found it difficult to believe that The Shark could manage to swallow another major, and perhaps so did he. By contrast, Pod carried a confident swagger and a knowing look, all week. The grace of the defending champion perhaps, as well as a secret suspicion that he might just sneak it at the end. As indeed he did. I agree with you wholeheartedly about the wind – it has long been a disappointment to see the guts of our Championship links ripped out on the most tranquil of days which our recent summers have served up. And it was fascinating to see how the so-called greats of the game coped with the elements – or for the most part, just how they didn’t. Harrington grew up on windy links courses, and Norman had learnt a lot through his 26 Opens. And didn’t they both prove it? Thank you again. 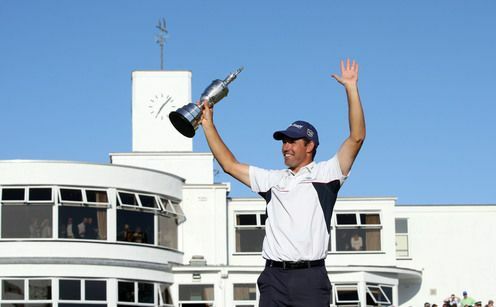 Superb Harrington clinches US PGA.